The Sydney University Football Club (SUFC) has a proud history of being involved with a number of community based organisations and charities, including support of the White Ribbon Campaign, and partnership with Chris O'Brien Lifehouse. The partnership between SUFC and Chris O’Brien Lifehouse began in 2012 and has grown in strength with each year, and each Lifehouse rugby match. 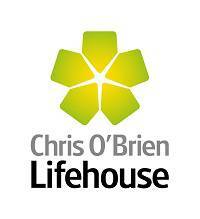 Chris O’Brien Lifehouse is a world-class integrated cancer hospital and research facility working to make things easier for people living with cancer, their carers and their families. Every year SUFC holds a special ‘Chris O’Brien Lifehouse Day’ at a Sydney University home game. On this day our players leave their ‘blue and gold’ at home and don their finest green socks in support of the outstanding work of the late Professor Chris O’Brien, and of the Lifehouse team. From the turning of the first sod in 2009, Chris O’Brien Lifehouse has grown to become a fully operational cancer hospital, treating public and private patients and providing all aspects of clinical treatment for cancer, cancer-related surgery, education, research, complementary therapies and emotional support services in one place. “Sydney University is a key research partner of Chris O’Brien Lifehouse and as such it is very fitting that SUFC have chosen to support us and our work to transform the treatment of cancer in Australia by bringing together all elements of cancer research, treatment, care and support within one centre of excellence,” said Eileen Hannagan, CEO of Chris O’Brien Lifehouse. The White Ribbon Cup was established by the Inner West Domestic Violence Liaison Committee with West Harbour Rugby Union and Sydney University Rugby Union in 2011, and is played annually between West Harbour Rugby Union and Sydney University Rugby Union 1st Grade. It is a vehicle for players, coaches, managers and supporters to raise awareness of the White Ribbon campaign, and to also take the White Ribbon Oath, swearing never to commit, excuse or remain silent about violence against women.